With so many apps available on Play store, the decision most often becomes very hard to choose the Best Gallery Apps for Android, which can meet your needs and demands and also save lots of space in your phone. Where hundreds of Gallery Apps are available on Android, making a name and fame among those is a hard task. 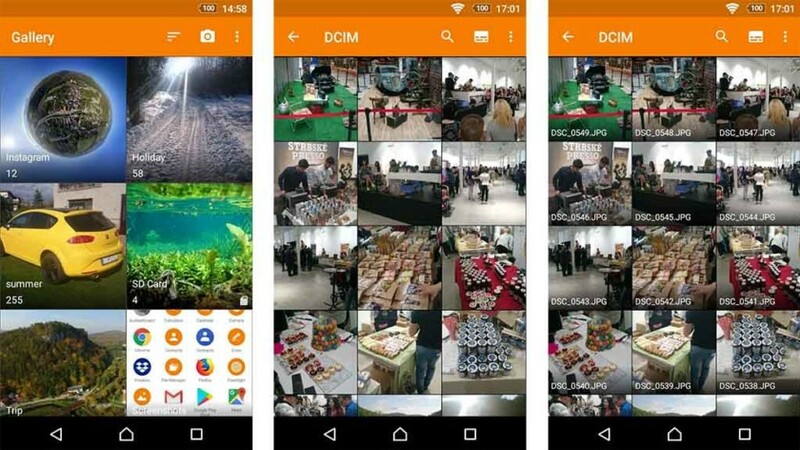 However, with the simple design and better functionality; QuickPic has done everything right to succeed as one of the Best Gallery Apps for Android. With around 10 million users and overall ratings of 4.5 by around 843343 users, the QuickPic is incredibly fast and easy to use. With the smooth user interface, it’s a perfect Gallery App for Android Users. With various features imbibed in the apps, like hiding your private files, multiple finger gestures and viewing contents based on different modes, QuickPic is a must install Best Gallery Apps for Android. A fully reliable and multi featured Gallery App for Android, Foto Gallery App is another great alternative for QuickPic. With the option just like QuickPic, like hiding files, it’s a fast and lightweight app for your Gallery Needs. 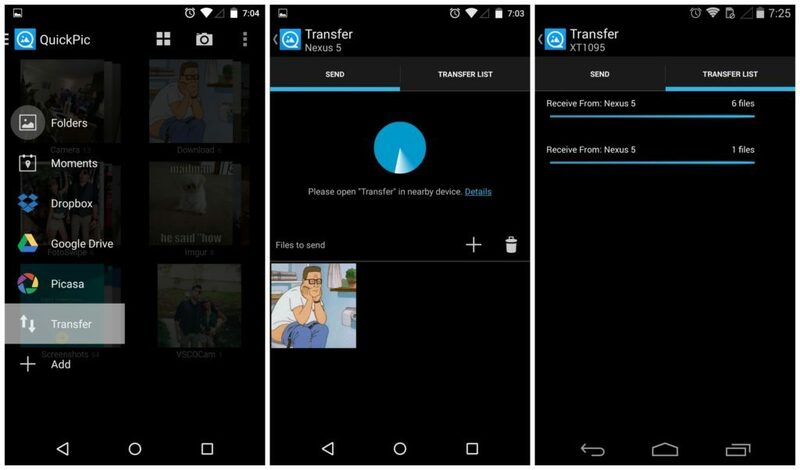 This app also features the functionality of creating GIF from videos. Isn’t that great option for you? With overall ratings of more than 4, it’s another good choice for the Android users with the app size of just 4.7 MB. Just as the name suggests ‘Simple Gallery’ is a simple app. But, still don’t think, it’s a very simple app, with no such great options. Completely loaded with all the high demand functionalities, the simple gallery is simple in use, but offering all important and needful functionalities to the Android Users. With the filter options, feature to add folders and an option to change views along with the password protection functionality, the Simple App is a user friendly app, with a simple approach towards usage. Completely free and free from all sorts of ads, this is a great app with overall ratings of 4.5 stars. Google Products rarely perform poorly! The same is the case with Google Photos. 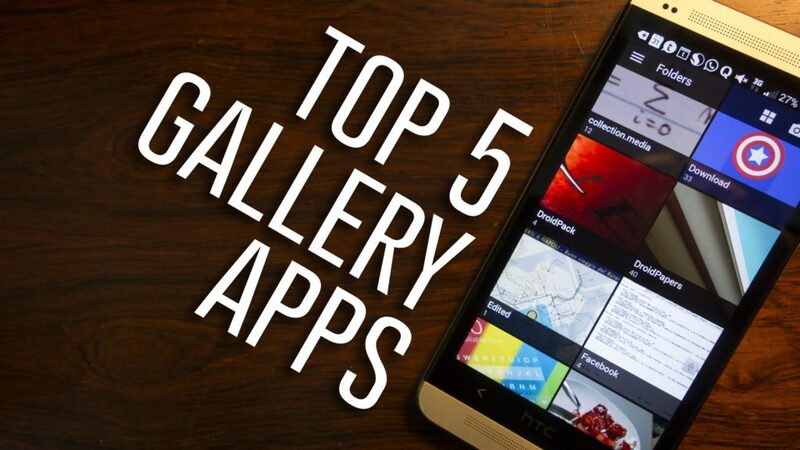 With no trouble and no complaints at all from the users of this app, it ranks among the Best Gallery Apps for Android. Already coming preinstalled on your phone, if you aren’t sure about it, get it from your play store free of cost. 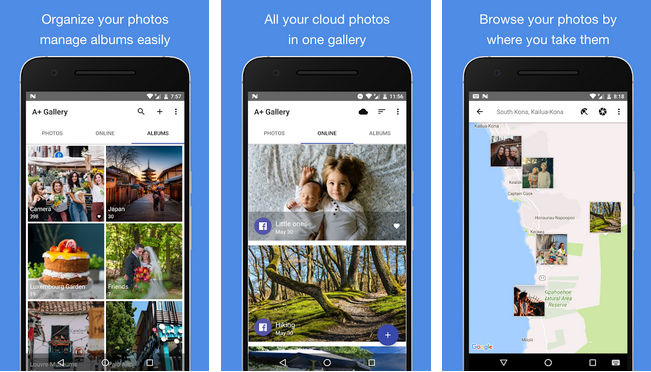 The most advanced gallery app as designed and developed by Google, this Google Photos has already collected a total average of 4.5 stars from 10,617,913 users. Isn’t that number satisfying enough for you to use Google Photos for your Gallery Needs? If it still couldn’t satisfy you, what else could be! Only God Knows! Already loved by 9 million users, and collecting a rating of more than 4.5 stars by 218,423, A+ Gallery is a fast performing app for your Android phones. Worth trying it with ease, this app has all needed functions which can satisfy you to the fullest, if you are not sure about all others as listed by us. Easily finding its place in Top 5 List, this A+ Gallery has everything from support for FB, Amazon Cloud Drive and other to the Built in Recycle Bin. Even, you can hide your private files and the best thing; it’s completely as all other 4 names as mentioned above! With the changing times, the need for the Gallery Apps is on the unprecedented rise. The need of the people to secure the photos and keep all pics collectively and in a more managed way becomes an important ask. Of Course your memories are the pictures, for which you are searching for the Gallery Apps. What’s your thoughts on the names are as mentioned above in the list of Best Gallery Apps for Android? Did you find these names, worthy to be used? Are you using any one of them and are quite satisfied with the functionalities of theirs. Let us know!